Radiant Architectural Lighting showed a number of new products on their stand at Light School which took place in London in February 2015, including a luminaire that emulates the effect of rippling water. The Radiant Water Effect Light was developed as a custom design for the Landmarket residential tower project in Stockholm Sweden. 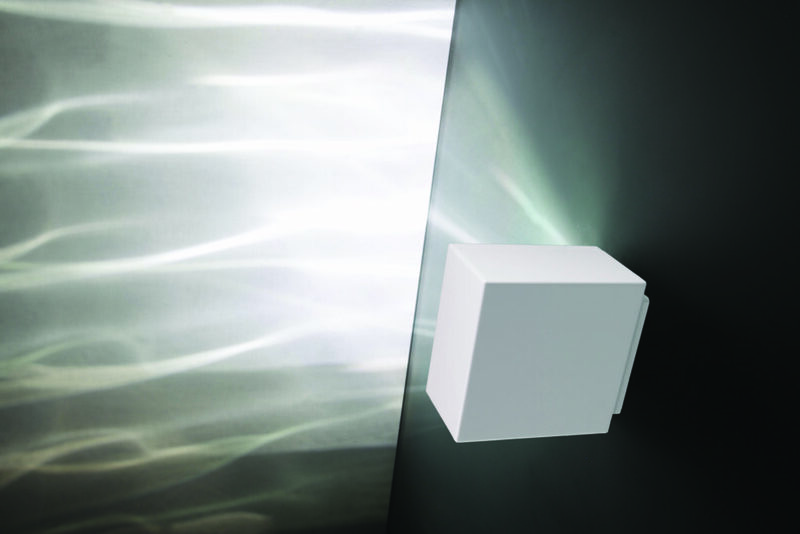 The luminaire incorporates 4 white LEDs with different colour temperatures run by a 4 channel DMX controller which, in combination with a rippled glass panel, creates a slowly changing effect of water reflected from flowing water. Over 70 of the luminaires were used on the project to project light onto the undersides of all the balconies in the tower. IP 20 and IP 65 versions were produced for use in different areas of the project. Radiant worked closely with Daniel Hodierne from the Swedish lighting design company Ljusarkitektur, founded by Kai Piippo, to develop the product from a design idea through to production. Radiant’s distributor in Sweden is Rebel Light.